FTDI Click features FT2232H - dual high speed USB 2.0 to UART/I2C/SPI serial interface converter. It includes DA converter and EEPROM as well. 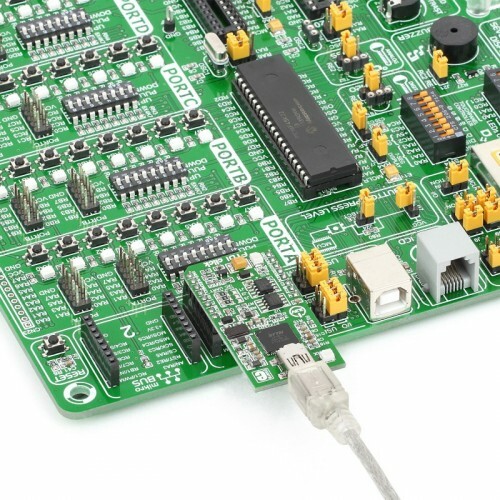 The entire USB protocol is handled on the chip (FTDI USB drivers are required), making this board ideal for various USB applications. 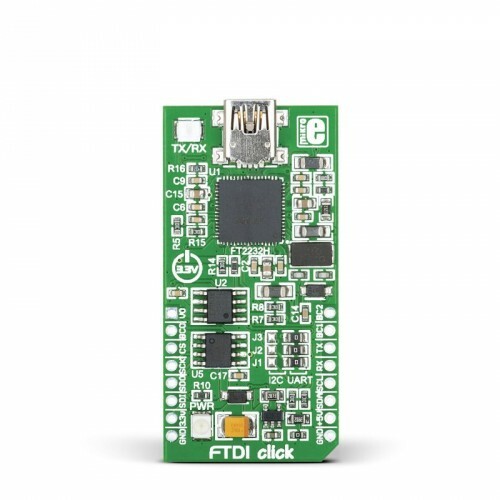 FTDI Click communicates with the target board via mikroBUS SPI (MOSI, MISO, SCK, CS), I2C (SDA, SCL), UART (Tx, Rx), RST, PWM, AN and INT lines. 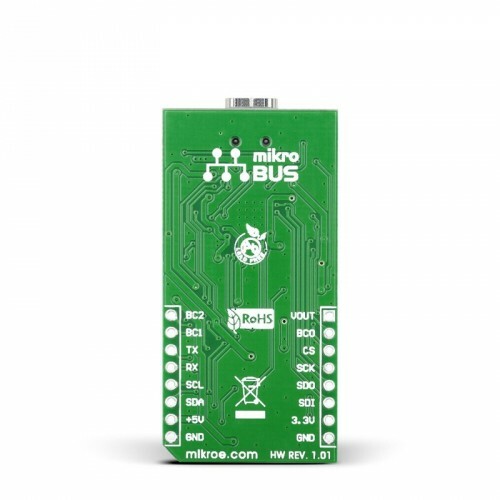 The board can be powered by USB cable or directly via mikroBUS socket. LED diode (GREEN) indicates the presence of power supply. 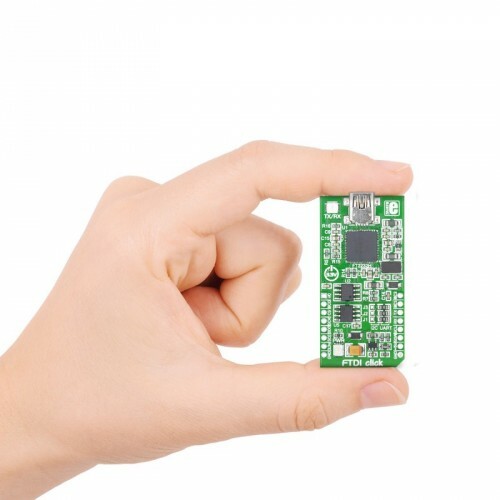 Applications Board is ideal for USB applications: smart card readers, instrumentation, industrial control, MP3 player interface, digital camera interface, etc.